The scholars featured in this week post are a singer, an educator for children with special needs, a wildlife conservator and a photography conservator. Edwin Joseph is a singer/actor originally from Delhi. Currently based in Mumbai, he is a graduate of Delhi’s St. Stephen’s College where he studied Economics. He made his professional debut in 2015 as the Beast in Disney India’s maiden musical Beauty and the Beast to critical acclaim. He is currently the youngest person to play the role in any official production in the world. Since then, he has performed with organizations like Motley and The Neemrana Music Foundation at venues such as the Royal Opera House Mumbai, NCPA and NSCI Dome in Mumbai, the Kamani Auditorium, the JLN and Thyagaraj stadiums in Delhi amongst others. He has trained as an Operatic Baritone with The Neemrana Music Foundation since late 2013 under French-Catalan voice teacher- Jasmin Martorell (Conservatory of Toulouse). In 2017 he sang Bartolo in Mozart’s Le Nozze Di Figaro in Prague and Salzburg as part of the Prague Summer Nights Young Artist Festival. He has recorded with Indian Music directors such as Pritam, AR Rehman, and Amit Trivedi. He recently, sang in the Hindi language dub of the 2018 Oscar award winning animated movie- Coco (including best song winner- Remember Me). Having versatile musical interests and pursuits, he regularly collaborates with various Mumbai based musicians, who are a part of the independent music scene, across genres like the Blues, Soul, and Funk at venues that include AntiSocial and Blue Frog. This fall he will join the prestigious graduate Opera program at the Yale School of Music where he will continue his training as an Operatic artist. Ipshita loves being with children and seeing the world through their eyes ­ - with their infinite sense of wonder and excitement. She believes that every child has a unique way of perceiving the world and in order to strike a chord with them, you need to be willing to see the world the way they do. Having completed her B.A (Hons) in Psychology from Jesus and Mary College, University of Delhi, she went on to do a M.A in Psychology from the University of Delhi, North Campus. Her interest in Autism Spectrum Disorders was sparked by her experiences with children during her post graduate internship. She has worked in the field of special needs for four years as a therapist/special educator, using the principles of Applied Behavior Analysis to design individualized intervention programs, implement curricula, conduct functional assessments for challenging behaviour as well as conduct trainings for caregivers of individuals on the spectrum. Ipshita’s passion for the performing arts spurred her to train in Hindustani Classical music and Kathak, both of which are her abiding passions. She believes that she connects with children because of her diverse interests and because, somewhere in her heart, she remains a child herself! She is quite likely to be found collapsing into uncontrollable fits of laughter, and firmly believes that positivity and humour are the best ways to reach out to people. Apart from her intense love for the creative arts, she is crazy about chocolate, Zumba, coffee, dogs and playing sports, not necessarily in that order. Ipshita will be pursuing a Master’s in Special Education (Severe Disabilities) along with a specialization in Applied Behavior Analysis (ABA) at Vanderbilt University, Nashville. 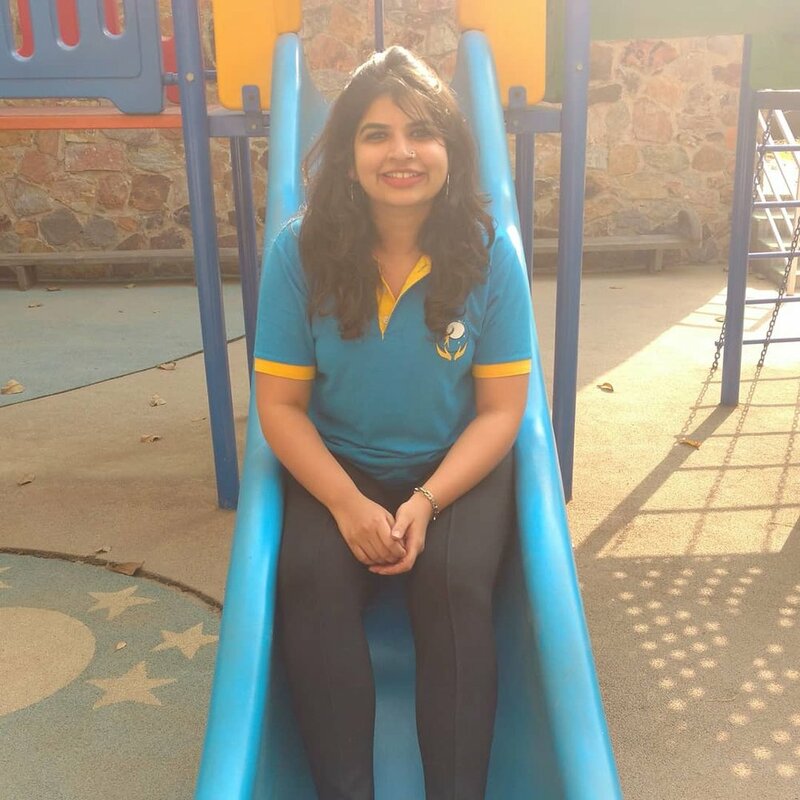 She is passionate about utilizing her education and experience to change the landscape of special education in India. She strives to challenge the prejudiced tendency to view people with special needs in terms of what they CANNOT do as opposed to what they CAN do. I have always been drawn to the natural world, spending most of my vacations in various sanctuaries of the Western Ghats. I would photograph and identify animals and plants, even as a child. During my undergraduate course in Zoology at the Madras Christian College, you could always find me bird spotting or turtle walking during my spare time. I was particularly pleased to have had the opportunity to conduct my research internship on the behaviour of captive gharials at the Chennai Snake Park. My interest in conservation studies grew after having witnessed first-hand, the rapid depletion of faunal populations. I am particularly interest in a new and developing field: Movement Ecology. All animals have the inherent need to move, however we have restricted them to “protected areas” and fragmented their already degraded habitats, with our roads, railways and economic activities. I am incredibly grateful to the Ravi Sankaran Fellowship and the Inlaks Shivdasani Foundation for enabling me to pursue a M.Sc. in Biodiversity and Conservation, at the University of Leeds. After I have completed my education as a conservation professional, I plan to work in an NGO in the Western Ghats, to help preserve and restructure existing wildlife corridors. Also, I would like to study animal movement patterns, to minimize human-animal conflicts and the consequent loss of lives and livelihoods. I trained to be a studio potter in my undergraduate career at the College of Idaho, until an unlikely meeting with the college archivist, Jan Boles, drove me into the world of large format photography. My studies in photography and darkroom work, under the benign influence of Mr. Boles extended to the world of historical Photography. This led to work with wet plate collodion photography and printing with salted paper and albumin; much like the early photographers of the Indian Subcontinent and the American West. After my graduation from the College of Idaho, I decided to continue my study of early photography through a Masters Degree in Art Conservation and Restoration from the National Museum Institute in Delhi. This, with my parallel interest in imaging, led me to my dissertation research in multispectral imaging of Dogra Murals in Jammu, my hometown. I also had the opportunity to work at INTACH Delhi as an Art Conservator, which involved hands on conservation interventions, technical imaging and microscopy, and materials research on paintings on paper and walls. The Inlaks Scholarship will allow me to attend the University of Amsterdam to pursue an MA in Conservation and Restoration, specializing in conservation of photographs. During my four years there I will go through hands-on training on how to conserve not only historical prints and negatives, but also contemporary photographic materials. This training will allow me to come back and work as the subcontinents first certified Conservator and Restorer of Photographic Materials, and continue working towards preserving the traces of our shared past.